Calulo disposes of its shipping and trading business to Commodore Trading and Shipping, and takes full control and ownership of Calulo Fuels and Calulo Marine, previously named Kepu Fuels and Kepu Petroleum respectively. Following the buy-back of shares from Invstec Bank Limited, Calulo Investments is now fully owned by its founder, management and employees. Futuregrowth Asset Management and the IDC. TOSACO concludes the sale of its 25% stake in TOTAL SA, thereby concluding a 13 year investment by Calulo in Total South Africa’s operations. Calulo Investments acquires a 10% stake in Transit Solutions, a subsidiary of Gilbarco AFS Investment, which along with its 20% stake in Gilbarco AFS, ensures it holds a full 20% interest in Transit Solutions. Calulo, Brimstone and Solethu Investments subscribe for 8.16% shares of Grindrod Limited for R1.6 billion. 1. 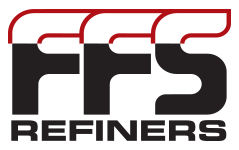 Majority Share acquisition by Calulo into FFS Refiners (Pty) Ltd.
in FFS Refiners, giving them a majority share of 52%. Sturrock Shipping shareholders, led by Calulo Newco, acquire a 15% stake in Röhlig-Grindrod and merge their clearing and forwarding operations. Grindrod Holdings SA buys a 50% stake in Sturrock Grindrod Maritime. The remaining shares are held by Calulo, who holds 30%, and the Sturrock family who hold 20%. Grindrod South Africa acquires 100% of the issued share capital of Fuelogic from Arrowbulk Carriers, Ukhamba Holdings Limited, Calulo Petrochemicals and Graham Searle. Fuelogic is a bulk liquid fuel transporter operating in Southern Africa. Calulo Investments and Skytanking Holding GmbH enter into a joint venture called Skytanking Calulo (Pty) Limited, which is the operator of the aviation fuel hydrant and storage system, as well as the into-plane fueling service, currently at King Shaka International Airport. Calulo Investments buys 15% shares in Kukhanya Energy Services (KES), a Total and EDF Energy affliate in South Africa, which installs and maintains solar home systems in rural areas that cannot be connected to the power grid. aspects of the procurement, delivery, storage, sale and consumption of fuel. Calulo Petrochemicals enters into a joint venture with Oiltanking, named Oiltanking Grindrod Calulo (OTGC). Oiltanking is the leading partner with a 46% shareholding, followed by Grindrod with 30,5%, Calulo holding a 20,5% stake, and the remaining 3% shareholding being held by Adopt-a-School. The business has specialised terminal facilities in Durban and Cape Town and a specialised trucking fleet servicing the customers in the molasses and vegetable oil industry. Investec Bank, through its Investment Private Equity division buys a 30% stake in Calulo Petrochemicals. Calulo Investments enters into a JV with Grindrod Limited, known as Unicorn Calulo (Unical) Shipping, which provides efficient and cost-effective tanker shipping services. Calulo Property Fund, a variable loan stock company which owns investments in properties gets listed on the JSE limited under the Financial Real Estate category. Its property portfolio comprises of light industrial property, office and retail property. The fund was subsequently renamed Monyetla Property Fund. The Calulo Foundation is established as a vehicle through which the Calulo Group and its associate partners drive their Corporate Social Responsibility initiatives, and where they can implement effective community development programs that transform the lives of the less fortunate, by providing efficient service, resource and relevant platforms. Total SA becomes the latest company to comply with the empowerment charter for the liquid fuels industry, which was devised by oil industry stakeholders in 2000. The charter specifies that historically disadvantaged people/groups must own 25% of the industry within 10 years. Newly-formed black empowerment company Total South Africa Consortium (TOSACO) acquires a 25% stake in fuels group Total SA. In terms of the new deal, the TOSACO empowerment consortium acquires a full-voting 25% stake in Total SA, a deal that allows the stake to convert into ordinary shares over 10 years. Total Renaissance is bought by TOSACO Commercial Services. Calulo Investments and Total SA enter into an empowerment deal through the formation of a joint venture sales and marketing company with ambitious business development objectives. The new joint venture, Total Renaissance, is owned 51% by Calulo Investments, and 49% by Total SA. A bulk liquid fuel transporter operating in Southern Africa is established.